Samsung Mobile officially announced today, October 9, 2013 the 'Galaxy Round', dubbed as world's first curved display smartphone. 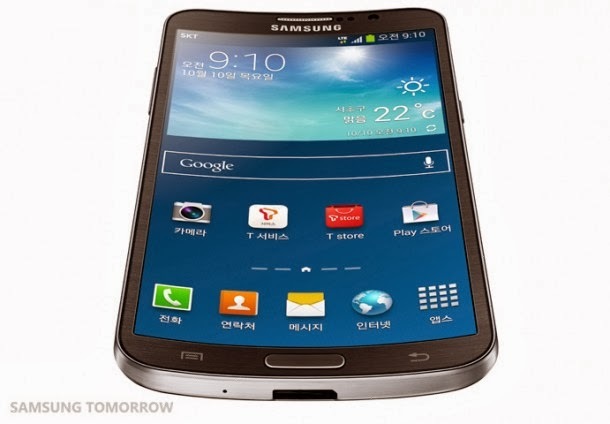 Prior to the launch, images of Samsung Galaxy Round has been leaked online and got curiosity of netizens. Details of specifications, expected price and availability are available on this page. 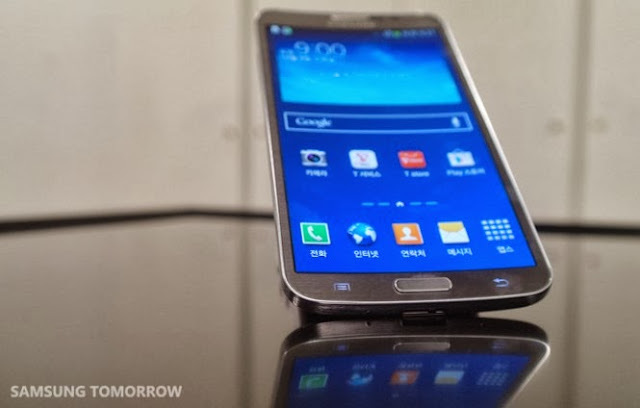 Samsung Galaxy Round is made with the world's first commercialized full HD Super AMOLED flexible display. It has high-resolution display of 1080 x 1920 pixels. With this pioneering curved display technology, GALAXY ROUND blends the latest smartphone screen innovations with unique design features. The sleek and thin Samsung GALAXY ROUND which equipped with a 5.7” Full HD Super AMOLED with 7.9mm thick and weighs 154g offers a comfortable hand grip feeling to user, and exclusive experiences of curved display. 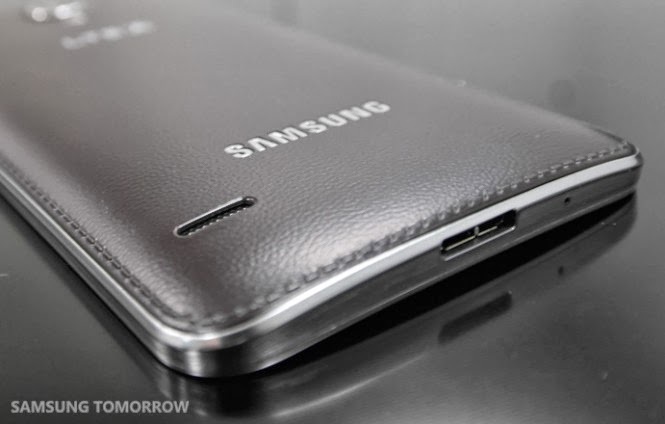 The back cover features a leather-and-stitch-inspired design, just like the GALAXY Note 3. Samsung said that the large screen size of the GALAXY ROUND will provide additional benefits to users. "Useful One-Hand Operation features bring a user’s most desired controls closer to a preferred side of the screen. The device enables enhanced multitasking capabilities that allow users to fully utilize the larger screen through Multi Window, a feature that enables users to open more than one application on the screen, run simultaneous multiple instances of the same application or to easily share content between applications." With the release today, Samsung also provides an exclusive look at the Galaxy Round. A video of one of the features, 'Roll Effect" shows how the user can check the date, time, missed calls, battery, etc by slightly 'rolling' the phone over towards one side when the home screen is off. Samsung Galaxy Round will be available first in Korea on October 10, 2013. No words yet for the global availability of the unit specially in the Philippines. Reports say that Galaxy Round price is set at $1,013 and is only available for now in SK Telecom (Korea). Samsung announced that it will be available in Luxury Brown and more colors will be available soon. TheSummitExpress.com will update this page for the exact price and availability in the Philippines. Are you interested to buy the world's first curved display smartphone?